MOBILE, Ala. (UMobile) — University of Mobile (UMobile) Board of Trustees Chair Terry Harbin announced today members of the Presidential Search Committee that will choose the next president of the Christian university. Terry Harbin chairs the University of Mobile’s presidential search committee as well as its Board of Trustees. “We have assembled a remarkable committee whose members have a deep love for this university. I am grateful for the commitment of each person as we begin a national search for the next president of the University of Mobile,” said Harbin, who also will chair the 10-member presidential search committee. Harbin said the committee will be assisted by the executive search firm JobfitMatters, a nationally recognized company specializing in higher education and the non-profit sector. JobfitMatters recently completed the presidential search for Union University in Jackson, Tennessee, and has worked with similar faith-based institutions. Terry Harbin — chair of the presidential search committee and the UMobile Board of Trustees; market president of BancorpSouth Bank, Mobile. 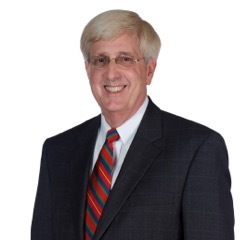 Fred Wilson — chair-elect of the UMobile Board of Trustees; partner, P.J. Lumber Co., Mobile. Deborah Nelson — vice chair of the UMobile Board of Trustees; real estate management, Orange Beach. David Connor — secretary of the UMobile Board of Trustees; attorney, Bay Minette. Kevin Wilburn — UMobile trustee; pastor, First Baptist Church of Cullman. Richard Gaal — UMobile trustee; attorney, Mobile. Lonnie Burnett — faculty representative; dean, College of Arts and Sciences. Kim Leousis — staff representative; vice president for enrollment and campus life. Jerry Henry — Board of Regents representative; pastor, First Baptist Church of Fairhope. Jim Averett — former UMobile trustee; Birmingham. UMobile President Mark Foley announced in early October that he planned to retire in 2016, after more than 17 years as head of the Baptist-affiliated university. Foley said he will continue as president until July 31, 2016, or until a successor is in place. For information about the University of Mobile, visit www.umobile.edu. This entry was posted in Home and tagged Mark Foley, president, University of Mobile. Bookmark the permalink.